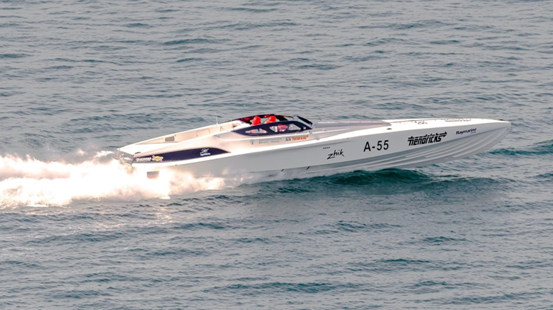 Oceanic Systems’ Fuel Management System has provided a perfect balance to the fuel feed of marathon powerboat Team Hendricks 55, skippered by Marcus Hendricks, during the shortened but still gruelling Cowes Torquay race on 26th August 2018. This 91 nautical mile race marked the first time that a fuel management system of this type has been used in such an extreme environment. Keeping fuel transmission running smoothly on a powerboat driving well in excess of 50 knots in rough seas can be a problem, but is vital to the optimisation of the boat’s performance. The challenge was particularly acute for the competitors in this highlight of the UK’s 2018 powerboating season. What should have been the Cowes-Torquay Powerboat Race on 26th August was shortened to a ‘storm course’ comprising multiple laps of Poole Bay in the severe weather and 5 metre high rough seas. 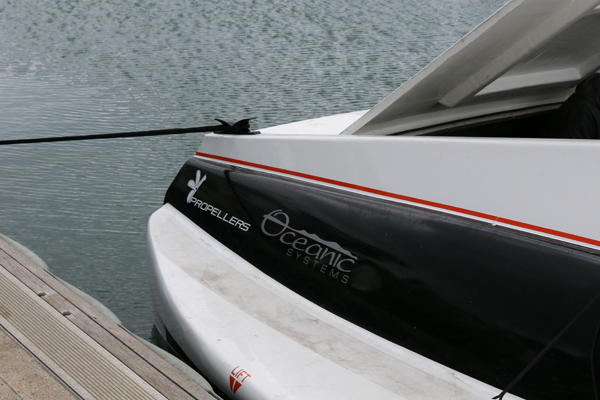 A network of highly accurate fuel senders and switching systems enabled the Oceanic Systems’ Fuel Transfer Management System to constantly maintain the fuel distribution level between the boat’s multiple tanks to ensure that the boat was perfectly balanced at all times. The 2,800 horsepower Hendricks H55 marathon raceboat, at 55ft long, is capable of up to 115 knots in calmer seas and has a crew of three.